Foil Assisted Ship Technologies – Advancing marine technology through research & development, partnership and collaboration. Advancing marine technology through research & development, partnership and collaboration. FASTcc specialises on projects for the US and International Governments, Workboat and Ferry Operators and Private Yachts and Sports Boats which are high-speed craft. By teaming up with us, you can ensure that the most up-to-date technology is implemented while you can stay focused on adding your distinctive competence to your projects and letting us focus on our speciality. Our consulting team has a long-standing, proven track-record in the categories under our “platforms” section. Please browse to our services page for more details on working with us and what we can offer. Over the past four decades, our firm has been actively involved in the research and development of various technologies that are pushing the boundaries in marine technology for high speed vessels of all sizes. 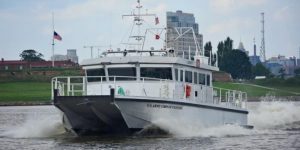 As hydrofoil-assistance gains momentum throughout the world, it is crucial for naval architects, designers and manufacturers to incorporate the latest technology into their applications. We team with your designers and engineers so that together we can build the best-in-class design to ensure the highest performance and reliability which is crucial for a successful project. Please read more about our company on the “Our Company” page. We encourage you to explore our website, specifically the various platform sections and their relevant applications to gain an understanding of how HysucraftTM can help your unique application. Visit our services page for more details on what we offer, view our our company page to see who we are and what our values are. When you are ready to develop your next project that will push the human race forward, please contact us through our contact us page. 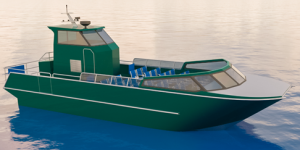 A further Survey Boat was specified by the US Army Corps of Engineers (USACE) and FASTcc developed an optimised Hysucraft concept with the design of the hull shape and foil system in sub-contract with Technology Associates, Inc. in New Orleans, USA and with a tight collaboration on the Ship Detail Design. 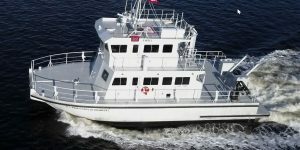 This Survey Boat was delivered by the builder Aluma Marine, New Orleans, USA. It is named S/V EWELL. It has a double level superstructure and a full load of 41.25 metric tonnes, 2 x 1000 hp MAN Diesel Engines driving Hamilton Waterjets HM422 . The vessel has twin inboard 440 hp Yanmar Diesel driven jet propulsion. 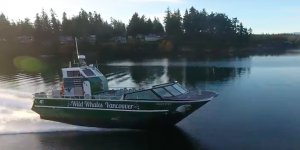 Transport Canada Approved 35 Passenger Tour Vessel! 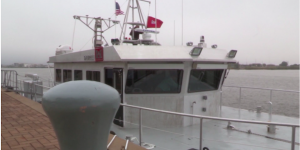 View a video taken from ACI’s autonomous drone of the vessel.